The generic circle or square. 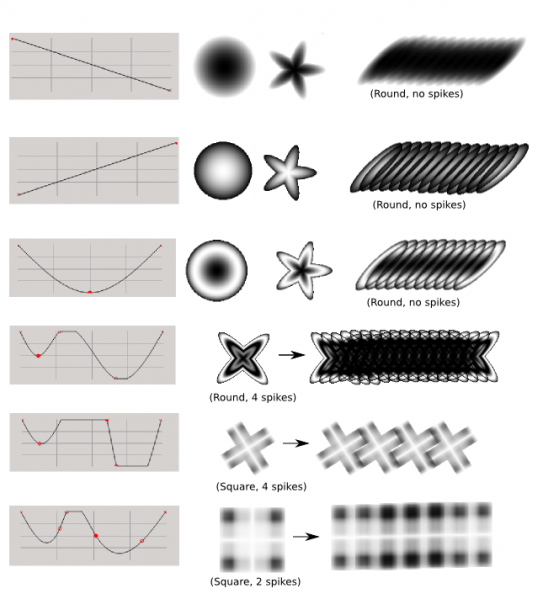 These brush-tips are generated by Krita through certain parameters. This is the ultimate generic type. The fade parameter produces the below results. Of the three auto brushes, this is the fastest. This one’s fade is controlled by a curve! This one uses the gaussian algorithm to determine the fade. Out of the three auto brushes, this is the slowest. The pixel size of the brush. Whether the brush is elongated or not. this sets the softness of the brush. You can click the chain-symbol to lock and unlock these settings. Fade has a different effect per mask-type, so don’t be alarmed if it looks strange, perhaps you have the wrong mask-type. This changes the angle a which the brush is at. This gives the amount of tips related to the ratio. This determines how much area the brush-covers over its size: It makes it noisy. In the example below, the brush is set with density 0%, 50% and 100% respectively. This changes the randomness of the density. In the example below, the brush is set with randomness 0%, 50% and 100% respectively. This affects how far brushes are spaced apart. In the below picture, the three examples on the left are with spacing 0, 1 and 5. Ticking this will set the brush-spacing to a different (quadratic) algorithm. The result is fine control over the spacing. 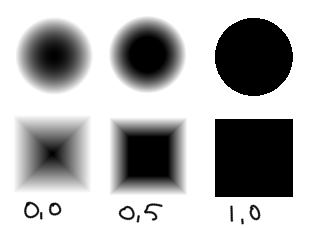 In the below picture, the three examples on right are with auto spacing, 0, 1 and 5 respectively. This toggles the super-smooth anti-aliasing. 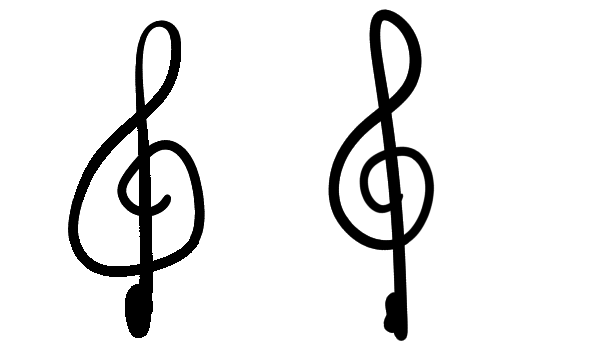 In the below example, both strokes are drawn with a default brush with fade set to 0. On the left without smooth lines, and the right with. Very useful for inking brushes. This option is best used in combination with Auto Spacing. This changes how smooth the brush is rendered. The lower, the faster the brush, but the worse the rendering looks. You’d want an inking brush to have a precision of 5 at all times, but a big filling brush for painting doesn’t require such precision, and can be easily sped up by setting precision to 1. This allows you to set the precision linked to the size. 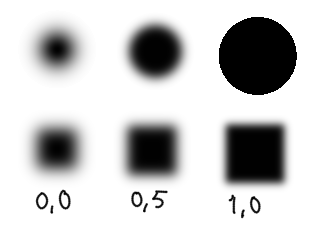 The first value is the brush size at which precision is last 5, and the second is the size-difference at which the precision will decrease. precision 1 at sizes above 26. GIMP single bitmap brush tip. Can be black and white or colored. 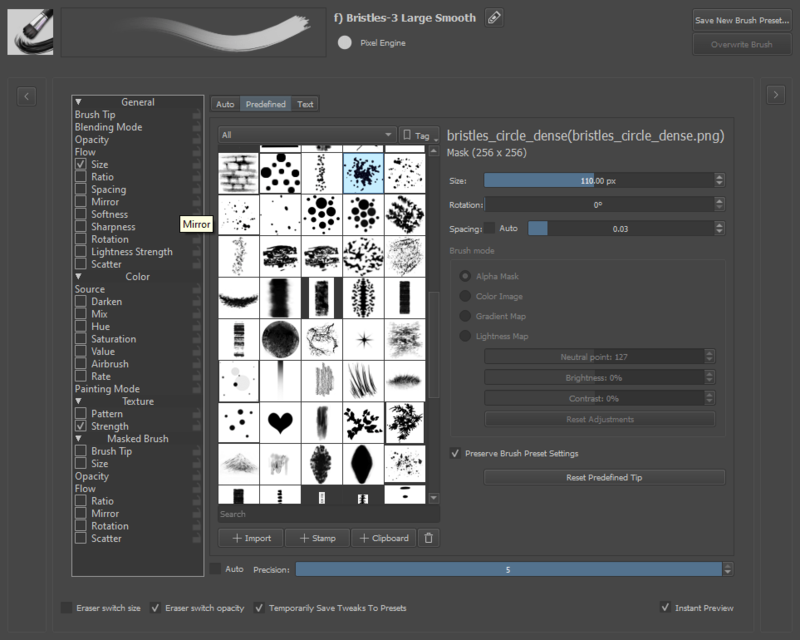 GIMP Image Hose brush tip: contains a series of brush tips that are painted randomly or in order after each other. Can be black and white or colored. 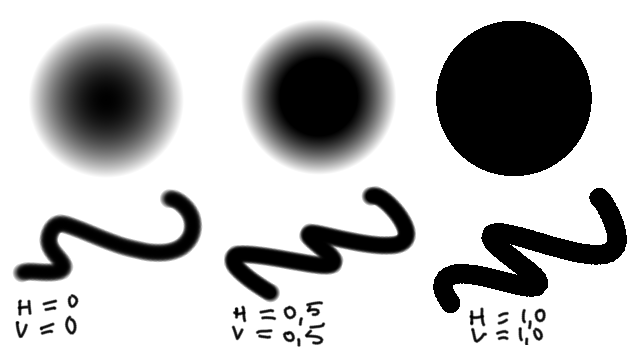 Krita does not yet support all the parameters yet. Photoshop brush tip collections. We support many of the features of these brush files, though some advanced features are not supported yet. 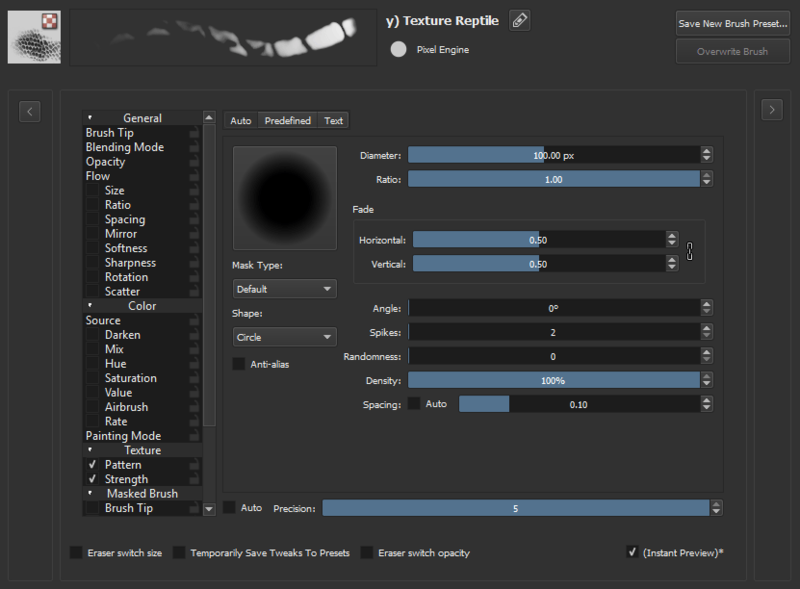 Note that the definition of ABR brushes has been reverse engineered since Adobe does not make the specification public. We strongly recommend every Krita user to share brush tips in GBR and GIH format and more complex brushes as Krita presets. scales the brush tip. 1.0 is the native size of the brush tip. This can be fairly large! When painting with variable size (for instance governed by pressure), this is the base for the calculations. initial rotation of the brush tip. distance between the brush tip impressions. for colored brushes, don’t paint the actual colors, but make a grayscale brush tip that will be colored by your selected foreground/background color.